An all-in-one and fully integrated training platform for the entire enterprise & education sector. 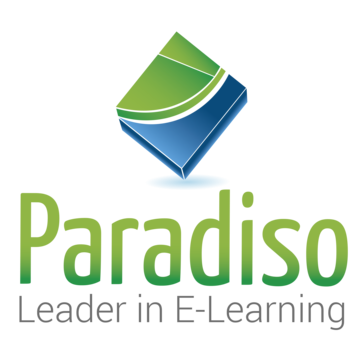 "A great decision Paradiso LMS"
Paradiso LMS contains many attractive features as well as content that can jumpstart the user’s course offerings. There’s something for everyone from corporations to educational institutions. Users can manage every part of their eLearning software, from building courses with an interface featuring the company identity to tracking performance with objectives, assessments and detailed reports. Paradiso have produced an LMS featuring some considerable innovation and multiple feature sets. Unlike a lot of the more simple SaaS LMS solutions, Paradiso LMS presents the opportunity for some very powerful customisation, which is to be welcomed – especially by the more sophisticated and discerning LMS customer. I wish they had HR software to go with LMS. It takes at least 3-5 hours of training to get the gist of the entire platform. Waiting to see the new versions of the platform. Hoping to see improvements in features and gamification options. I like the look of the interface along with the long list of content options. Coding is sloppy, for example date format is different in many different places. they don't seem to have a consistent standard that makes sense. As an finished reports are sorted by date, 12/07/2018 which means my report i run on august three will be listed before the one i run an on july 12 but after the one o ran on september 1..
Any SAAS platform that is responsive to the client. Mass distribution of Learning content both selfpaced and blended. "Best product we have used! " We have used this product because of the software customization, easy to use and the cloud storage. We are also a quantitative department, so having the ability to run reports whenever we like has been helpful. I wish it were in our budget to sustain/keep it long term but with our department being short-staffed, and with the increase in budget freezes, we had to make sacrifices to make ends meet. My supervisor liked using this product and my IT colleague. I'm positive we will circle back to this product when we make necessary changes to our budget. The site was slow to use, especially when navigating between pages, but otherwise, we were managing. My computer runs on hamster speed on a good day, so I can't complain about the navigation too terribly. It's super user friendly. Customer support has been beyond supportive and you don't often receive the help you need from others that claim to be customer support. Portals are able to be customized, if you're into analytics and want to run reports, this does it for you, etc. All in all, it has been a good experience. We were using it to building reports, social learning, gamification, course-creation, etc. We were using the free trial to try and determine what was best for our department as we are looking to make our processes seamless and ultimately paper free. They have a Moodle based platform that is easy to administrate and manage. They have personalized formats of the courses that have a great design and are easy to configurate for people with low web designing skills. They offered a great first orientation course very personalized that allow us to start working with the platform. They are working with an older version of Moodle that not support GDPR compliances. In their web site they offered some modules for 360 evaluation of our workforce but when we asked for help with this option they refuse to help us because that module want getting support in moodle (consecuence of working with an out of date moodle version). Also, for some reason that they dont gave us, we lost the records of exams and evaluation that the users did in the platform. Consider the cost of implementation of this resource (Moodle) that is open source paying a provider or hosting your own system. We used this lms to drive knowledge to our workers about different aspects of our their work. Technical aspects and internal administrative subjects. I was with Moodle before and saw the advertising of Paradiso on the page. I decided to try it because it was for FREE, absolutely no regrets. The LMS developed by Paradiso is a very useful and easy to run software solution. Even for beginners I highly recommend it especially for its features and excellent support. I would have liked it to have more gamification. But it already has several gamification options. Paradiso is an LMS that allows clients to input questions for training, school, etc. It has an intuitive interface. The software is somewhat limited in reporting capabilities. Paradiso is very open to making improvements and changes for their clients. Our company needed a vehicle for assessing learning. Paradiso has been a great way to input assessment questions and have our clients use them to determine proficiency. Paradiso LMS offers a really great, workable experience from a platform that is easy to use, comfortable and versatile. At first, I had trouble setting up the Learning Paths, some of the steps that I had to follow in order to have a propper Learning Paths configuration were confusing. It was a great solution to have the support team of the company on this specific subject. "Employee Training for remote teams"
* No need of classroom training. - With employees in 4 different continents, online training is much more easier to provide. * Site is little slow and navigation can kill interest in training sometime. * UI is not updated regularly, can use regular and consistent changes based on feedback. Nothing to complain about this software so far. Able to communicate with employees, get them into training quickly. Also, used for higher education purposes. Simplicity of the system, easy navigation & feature rich. Not much to dislike with this product. May be a new VR feature would be good in future. Go for it, Product & Support team are the best I've dealt with. It integrates well with our CRM & CMS which helps a lot. Everything to do with our Internal & External training is now automated. Color scheme(theme) needs to easier to manage. Re-usability of the content and interactivity. The content can be made more engaging with interactivity and gamification. Keeping students coming back and taking new lessons has been easier this way. * We monitor all Paradiso LMS reviews to prevent fraudulent reviews and keep review quality high. We do not post reviews by company employees or direct competitors. Validated reviews require the user to submit a screenshot of the product containing their user ID, in order to verify a user is an actual user of the product. Hi there! Are you looking to implement a solution like Paradiso LMS?